I set out to break a Guinness World record on July 28th ( it was postponed a day due to mechanical problems). Within the first few hours I blew my 1965 NSU motor up. 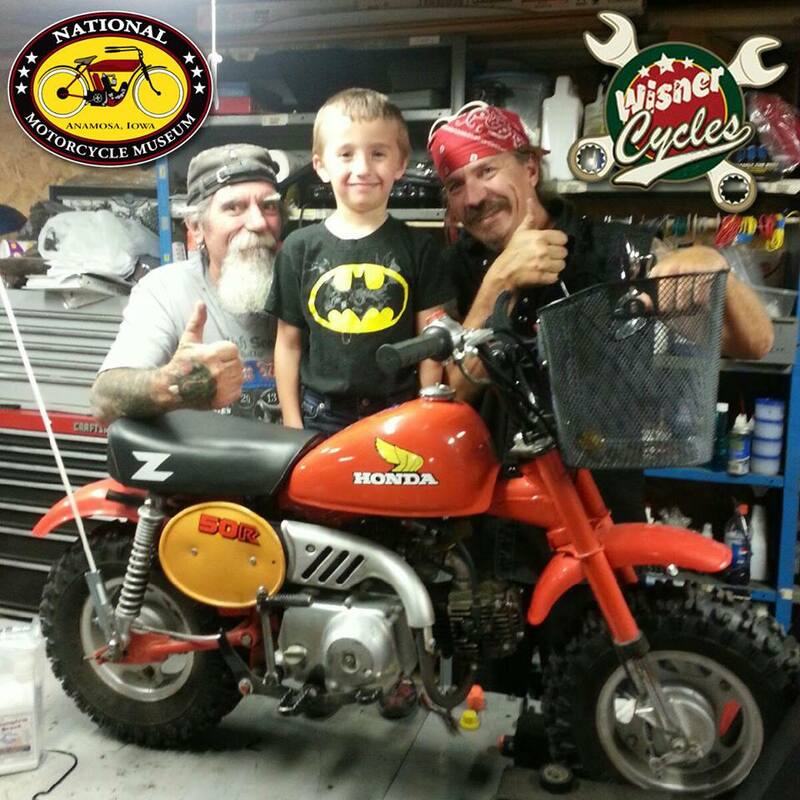 I thought the problem was that I was riding a 2 stroke ( oil mixes with the gas). 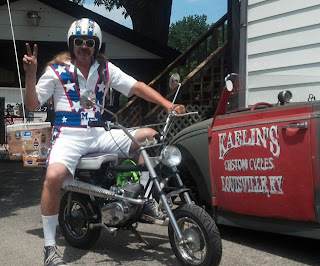 I threw the broken mini in the chase van and made a bee line to Anomosa, Iowa where my friends at the National Motorcycle Museum in Anamosa, Iowa were helping me locate another mini. 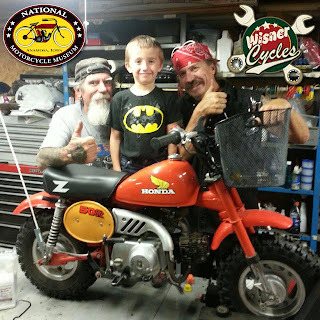 Kody Wisner of Wisner Cycles was the connection made and another mini bike was purchased. 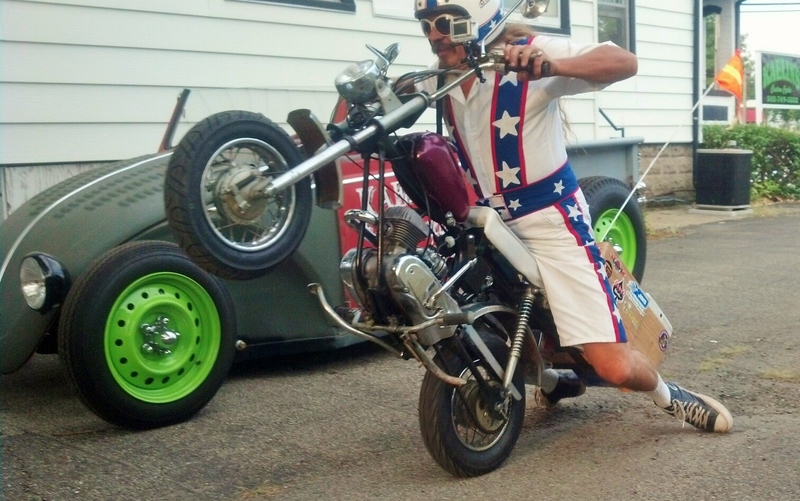 It was a 1984 Honda Z50. I started my second world record quest from Strawberry Point Iowa. I didn't think this would hurt it but it got very hot with in the first hour. After letting it cool and making some adjustments, I slowed my speed down to between 20 and 25 mph and even with a severely damaged motor, I made it 166.7 miles in less then 10 hours before the motor finally seized up. As much as I wanted to claim this title, I have to throw in the towel this year after exhausting much time and resources. In hand sight, I realize that I was very hard on both mini's. Riding along on 2 Cannonballs you would think I would know that this wasn't a race- it is an endurance run yet I made a rookie mistake of wanting to do too much too fast. Better luck next year, dear. -Jill p.s. I just hit "publish" to post my comment and you know the thing that says "enter this letter sequence so we know you're not a robot" or whatever? Well it asked me to enter "assm0ve"... oh irony. You forgot to paint the mini's purple! thats the attitude bean're...thanks for the 35 second view..just a clipping along...but darn....now for a really layed down putt to the chip...for more fun....we'll be surfin by....stay safe..